Each new state that I study brings a fresh surprise, and that certainly applies to Victoria. My Great-Grandparents were farmers near Glenrowan in Victoria. They lived near the Kellys. Ned Kelly and his gang of bushrangers were horse thieves, bank robbers, and murderers, but have passed into history as folklore heroes. The expression “Ned Kelly’s not dead yet!” is an Australianism meaning “What a rip off!” This can be used in situations such as buying something and finding it has a huge mark up, say 133%. The significance of this item of trivia will soon become obvious. 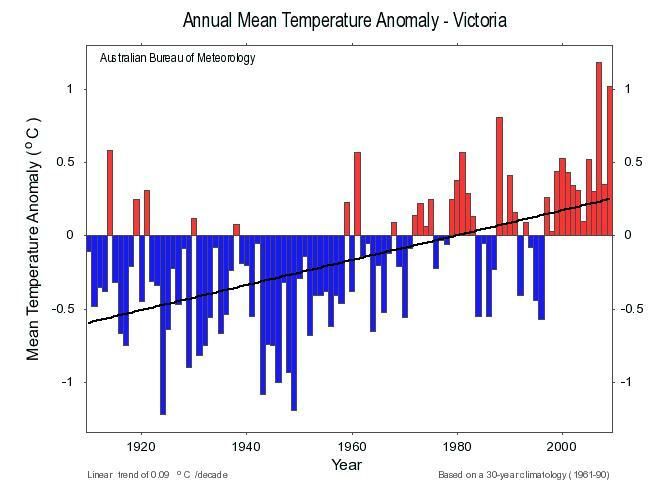 The Australian Bureau of Meteorology (BOM) has its headquarters in Victoria’s capital, Melbourne, and develops its climate Trend Maps and Time Series graphs from 100 sites nationwide, comprising the High Quality Australian Site Network. 13 of these are in Victoria. 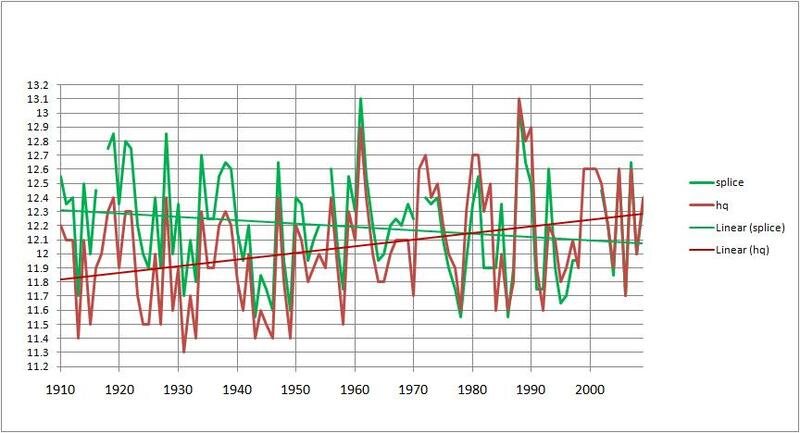 As you can see, BOM declares a warming trend of 0.09C per decade, or 0.9 degrees C for the last 100 years. 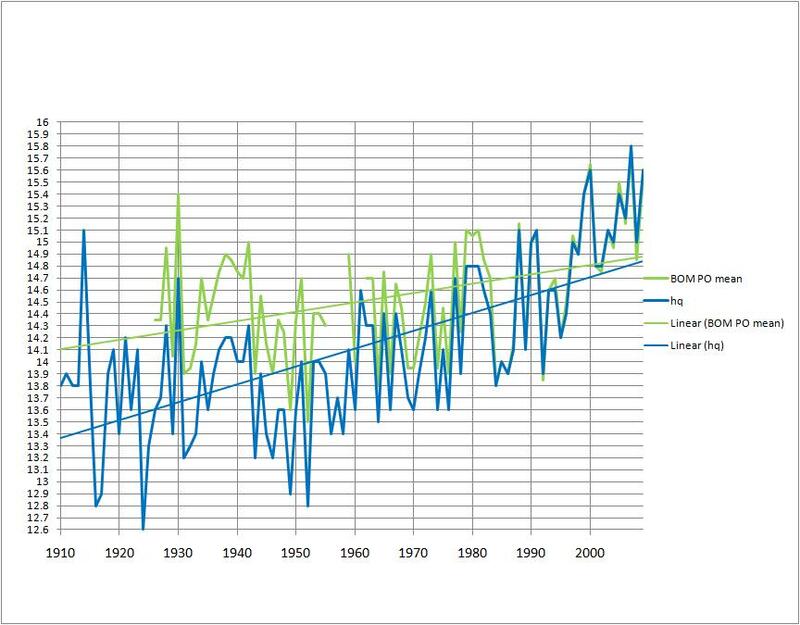 By these calculations (averaging the trend at each site) the raw trend is 0.35 degrees C per 100 years, and the High Quality state trend is 0.83C. That’s a warming bias of 133%! 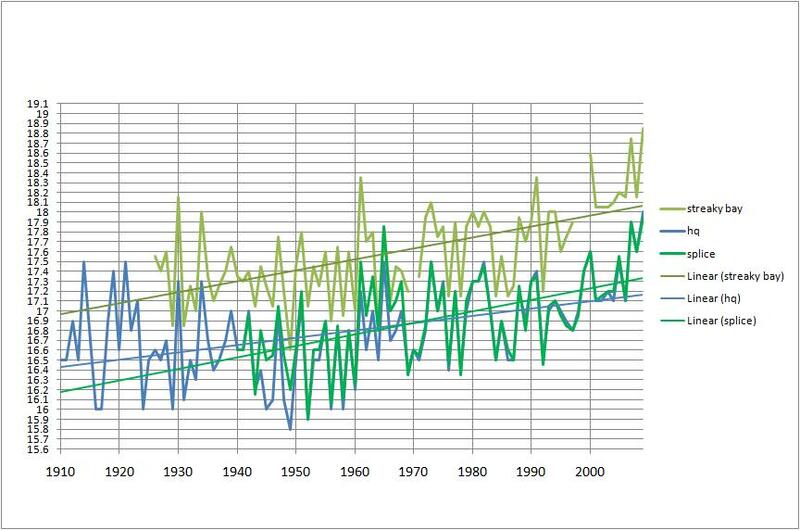 When the annual records for all 13 sites are averaged and graphed, the official trend is 0.85 C. (BOM rounds to 0.9). Also note that the raw trend is practically identical to the table above, and the warming bias for the state becomes 142.8%. 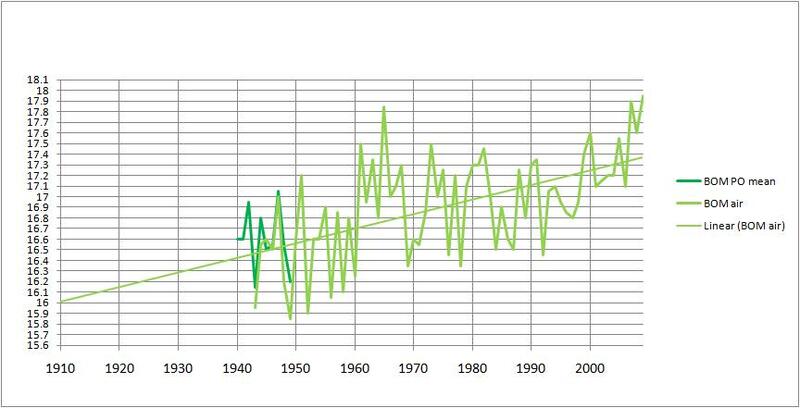 This is a graph of the magnitude of the adjustments to the raw data from least to greatest. 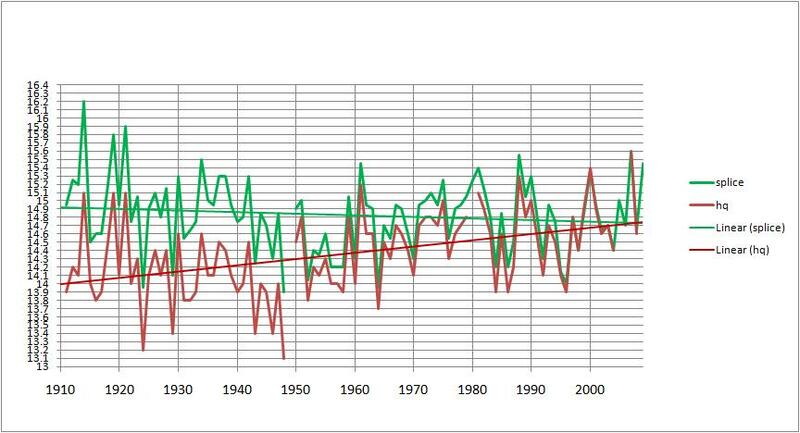 Note that two stations’ trends are unchanged, one is cooled, and the rest have strong warming adjustments. Omeo gets the gong for the greatest adjustment in the whole of Australia (so far). Let’s look at these 13 records. 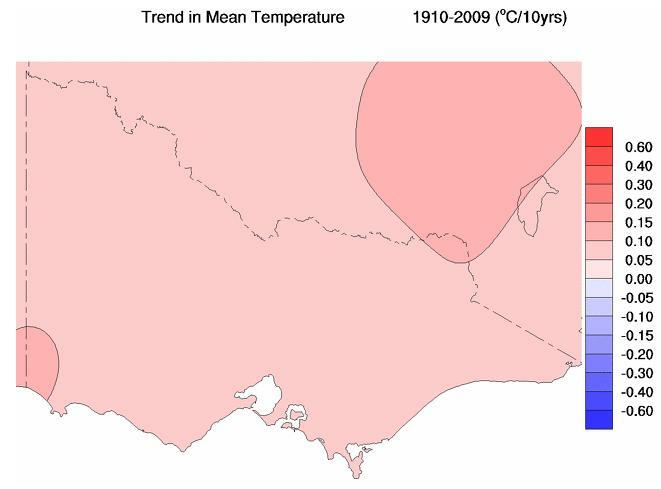 Three stations (Mildura, East Sale, and Cashmore) were listed in 1996 as being Urban, and therefore not supposed to be used in developing the temperature record. Yet there they are. 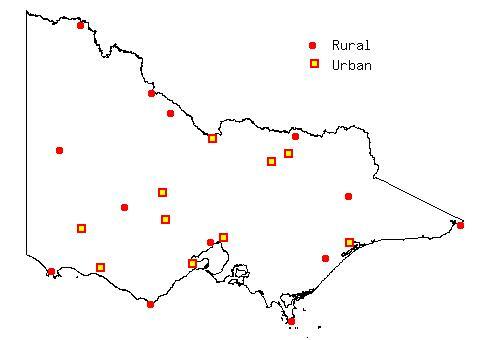 As well, Laverton is now encroached by the outer suburbs of Melbourne and should also be regarded as Urban. 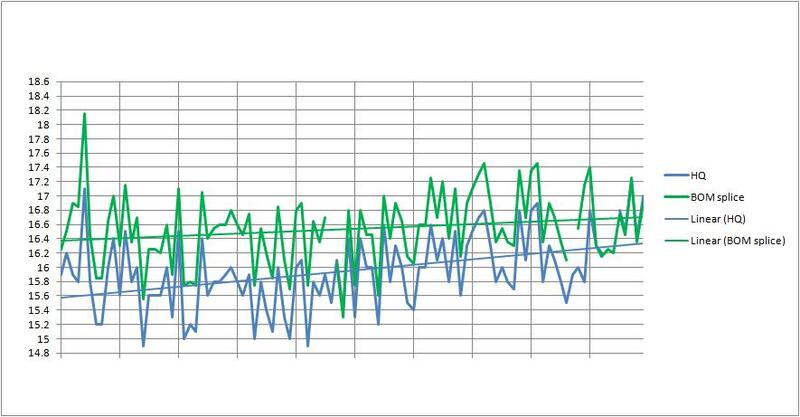 Because of the poor quality of records, I frequently had to splice data to see what was happening. My splices are not corrections but attempts to match separate records. All increase the raw trend. 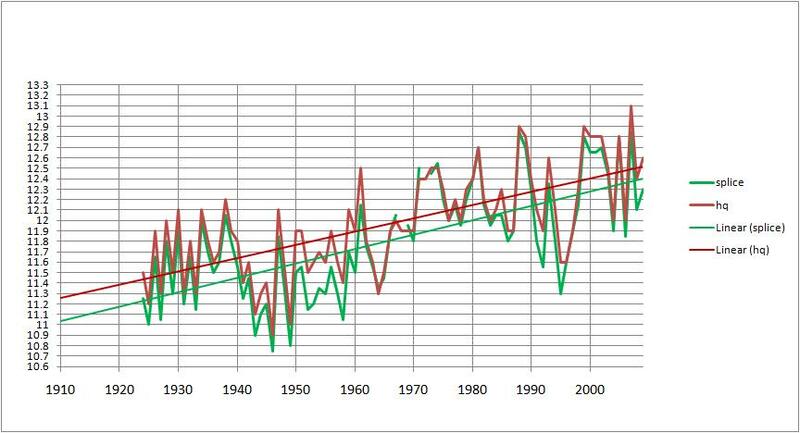 The homogenised data has been adjusted down about 0.6, resulting in a steeper warming trend. Kerang– shows Boort as well. I used Boort less 0.1 to infill the splice. 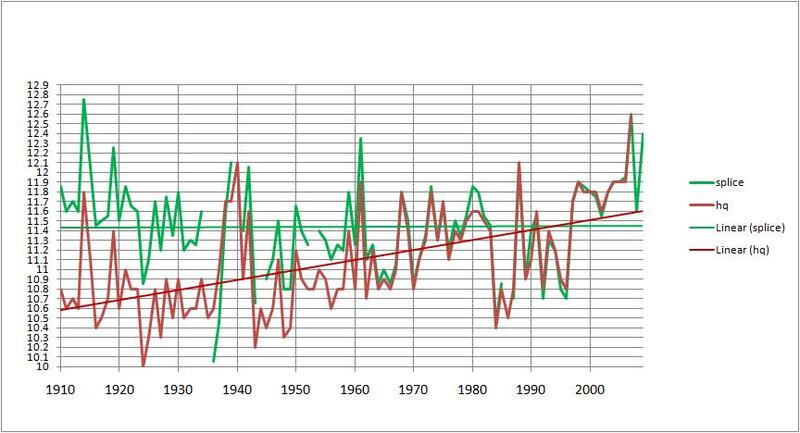 But the adjustments increase the warming. Nhill in western Victoria, shows cooling of about -0.2C. But that has been turned right around! A change of 0.95C in trend! Hard to join the two, so I checked Stawell. 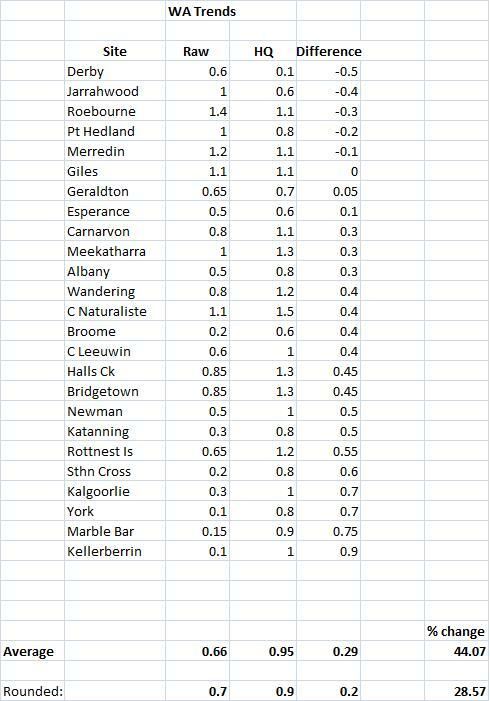 There are overlaps with both datasets, so I reduced Stawell by 1.0. A good match but 0.3 above the prison, so I reduced the PO data by 0.3 and spliced with the prison. So how did they make that adjustment? 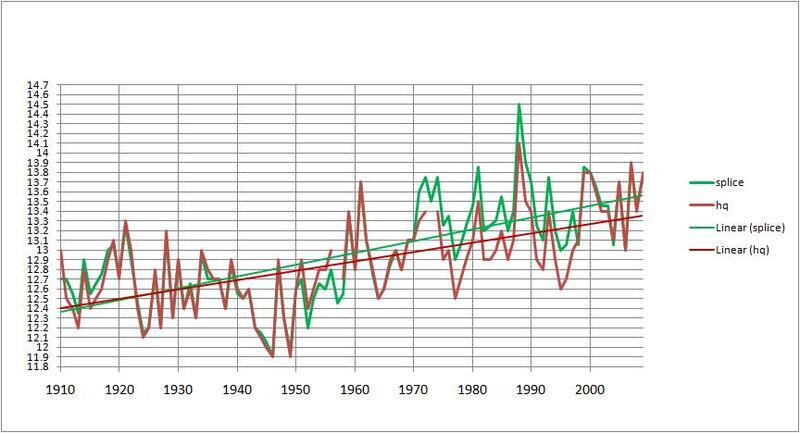 To make a long period record, BOM needs to splice with other records. As it happens, the Portland Airport was moved to Cashmore (about 14 km away) to get away from the aluminium refinery. There are in fact five separate records for the Portland area. The original Portland site with many gaps was superceded by Cape Nelson Comparison in the 1950s. The Airport (about 1.5km from the old Portland site) recorded data for a few years with a good overlap with the lighthouse about 9km away. This is the splice I made: old Portland less 0.3; Cape Nelson Comparison less 0.8 and Cape Nelson less 1.05 to match Cashmore. Remember, Cashmore Airport is built from urban data, and shouldn’t have been used by BOM at all. Laverton RAAF. It was once out in the country. Explosives factories were built nearby (out of town for obvious reasons) but in recent years Melbourne has expanded and Laverton is an outer suburb. That’s the biggest adjustment so far! Slightly warmed, who knows why. The only station out of the 13 to have its trend reduced! 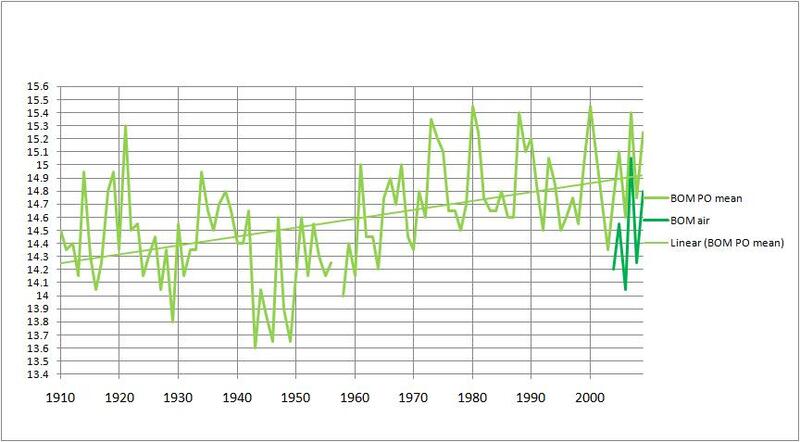 There is a distinct warming trend in Victoria since the 1960s, which has been especially marked in the last 15 years. The first half of the record shows a cooling trend. BOM’s adjustments have attempted to remove this. 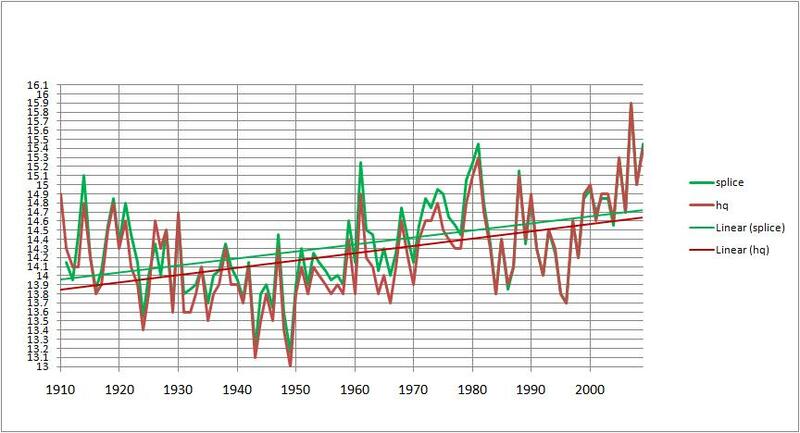 2007, not 2009, was the warmest year in the past 100 years. Three stations identified as urban in 1996 have been included. Only one station has had its trend reduced. Two are essentially unchanged. Ten of Victoria’s 13 stations have been adjusted to increase the warming trend, to the extent that there is a warming bias of at least 133%, more likely 143%. 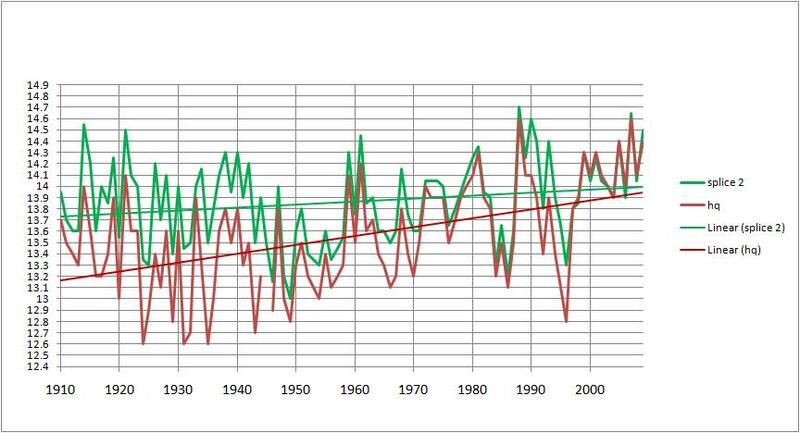 These adjustments, and the Australian temperature record to which they contribute, are plainly not to be trusted. Ned Kelly’s not dead yet, and he works in the Bureau of Meteorology. 133%? I don’t buy it. There will have to be a massive cooling bias in the remaining 17 stations to return the overall Australian adjustments to neutral. Tasmania is Australia’s smallest state, the Apple Isle. 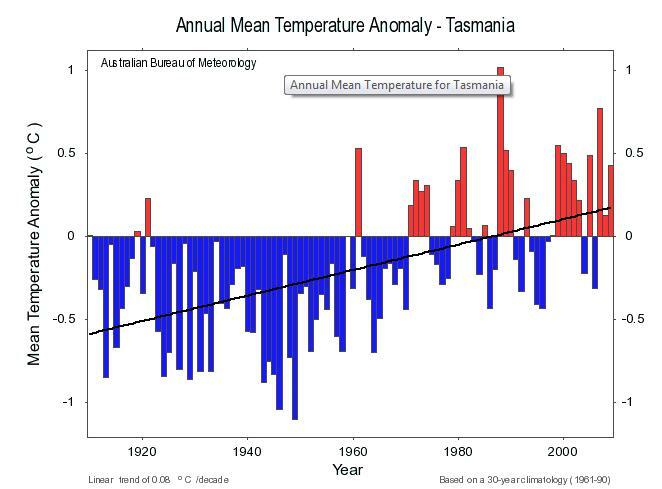 It’s the home of Tasmanian Devils, the only State government with the Greens in coalition, and some interesting climate data. 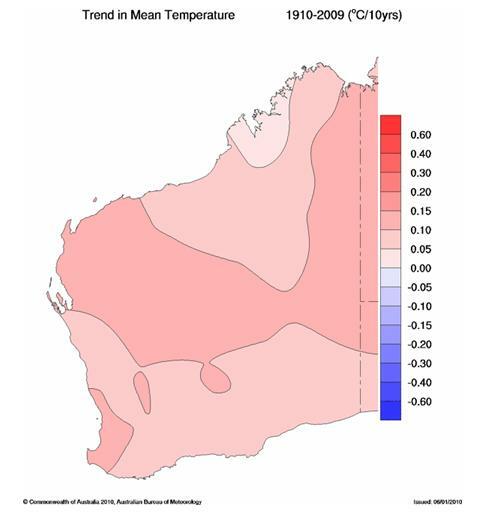 The Australian Bureau of Meteorology (BOM) develops its climate Trend Maps and Time Series graphs form 100 sites nationwide, comprising the High Quality Australian Site Network. Five of these are in Tasmania. 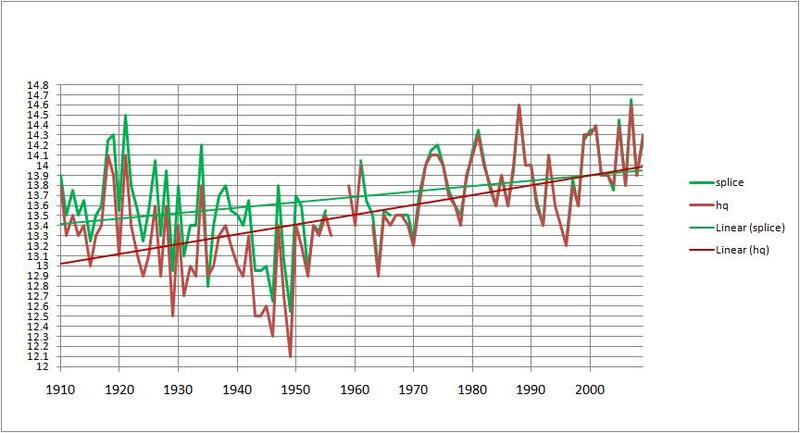 As you can see, BOM declares a warming trend of 0.08C per decade, or 0.8 degrees C for the last 100 years. 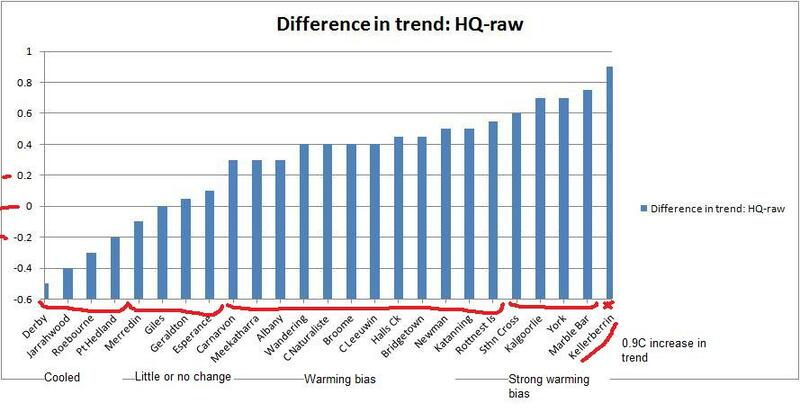 40.3% , even 33.3%, warming bias is significant in anyone’s language. 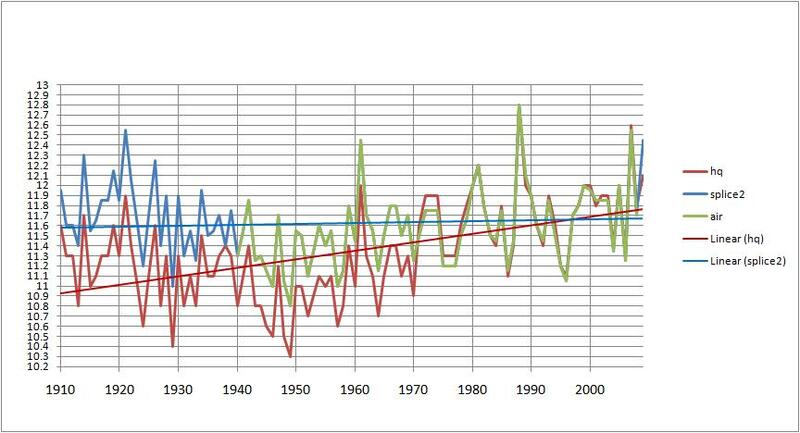 Note that two stations’ trends are essentially unchanged, one is cooled, and two have strong warming adjustments. Let’s look at these records. Strahan Aerodrome: This site has records only from 1982 and 1983, and from 1992. So the record can only be constructed by splicing Cape Sorrel (14km away) Vivian St, and The Lodge. -0.2 changed to + 0.5! How does that work? You may be interested to know that BOM is not supposed to use data from stations over a mountain range. It couldn’t have been from Zeehan 29.5km away as it shows even more cooling! 2 diverging records. The earlier one is from the Pump Station (not PO). How do you get a trend from that? Especially as Launceston Airport is listed by Torok (1996) as Urban, and should not have been used. 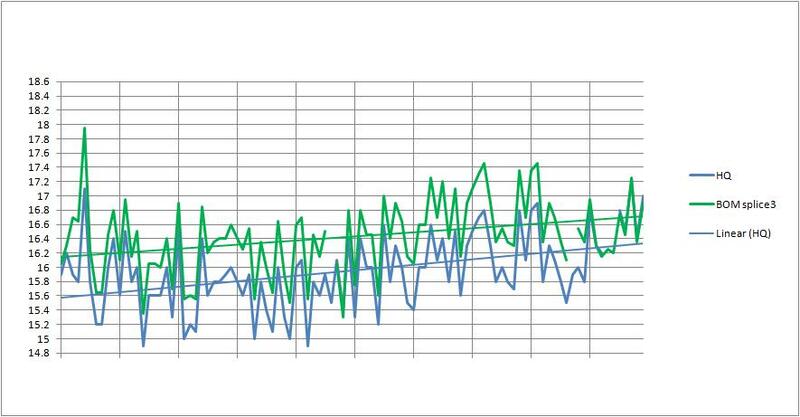 The only way is to splice the Pump Station data with the airport is by reducing the earlier figures by 1.2 degreesC. 0.1 degrees adjusted to 0.9! 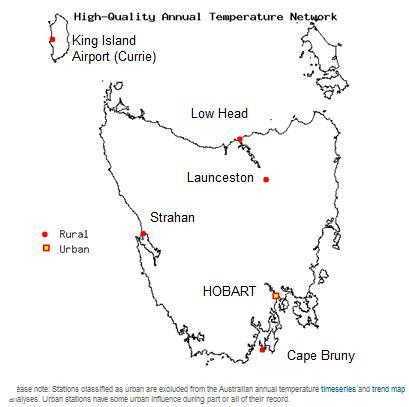 Tasmania’s High Quality mean trend: > 0.75 degrees C! 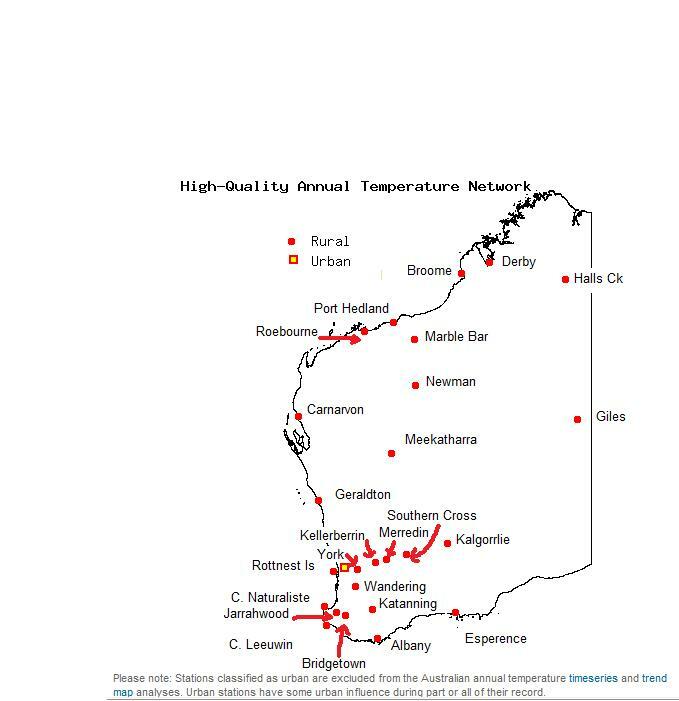 Two of Tasmania’s five stations (40%) have been adjusted to the extent that Tasmania’s High Quality temperature has a warming bias of 40%. 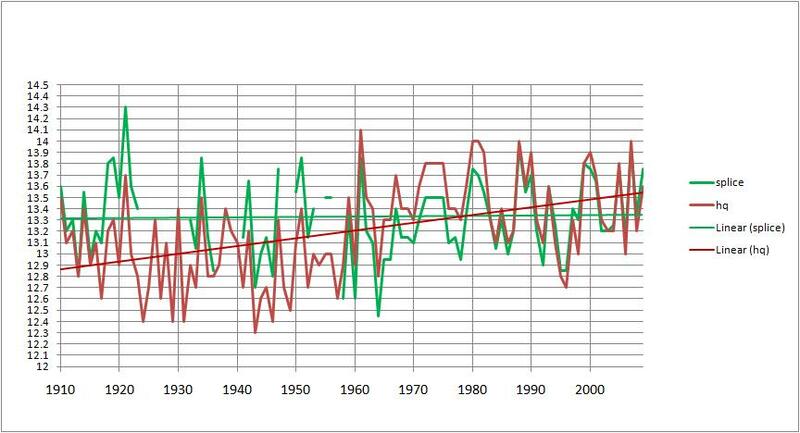 When the mean of all stations annual means (raw and HQ) are graphed, there is a warming bias of at least 50%. There will have to be a massive cooling bias in the remaining 30 stations to return the overall Australian adjustments to neutral. I gratefully acknowledge the assistance of Lance Pidgeon in downloading data for this post. Thanks mate! South Australia is the driest state in the Commonwealth, proudly claims no convicts in its ancestry, and is home to some of Australia’s best wines- and worst temperature records. 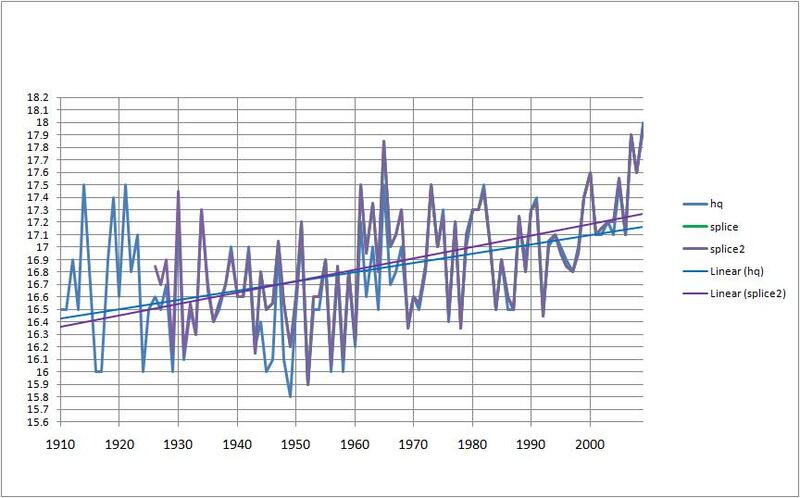 Such important information as the temperature record for the last 100 years, which is rightly of great interest to the government and the public, must surely be based on high quality data, right? The truth may surprise you. 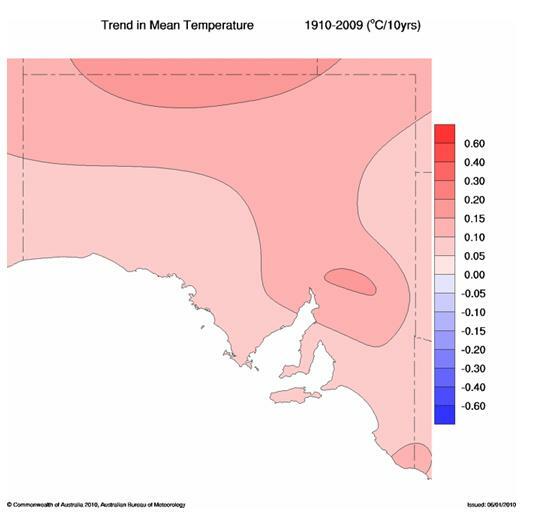 The Australian Bureau of Meteorology (BOM) develops its climate Trend Maps and Time Series graphs form 100 sites nationwide, comprising the High Quality Australian Site Network. 10 of these are in South Australia. 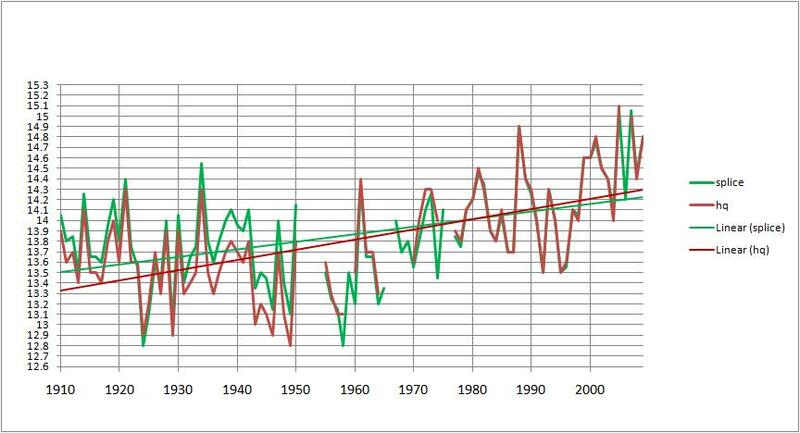 As you can see, BOM declares a warming trend of 0.12C per decade, or 1.2 degrees C for the last 100 years. Here are the results for South Australia. 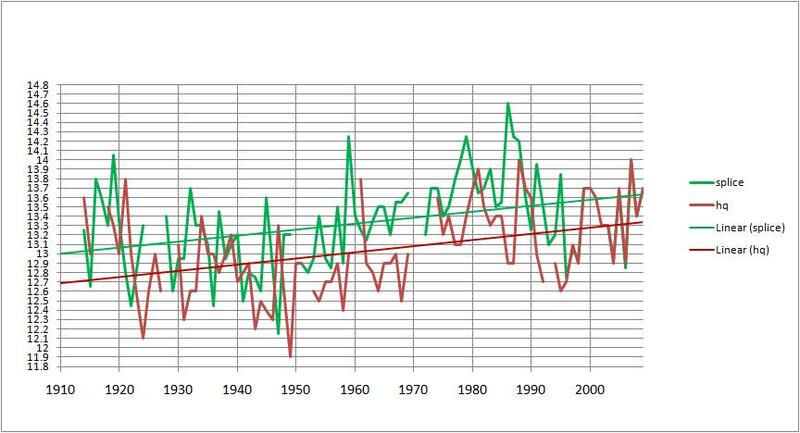 It may be comforting to see that there is no warming bias. However, a closer look reveals some problems. 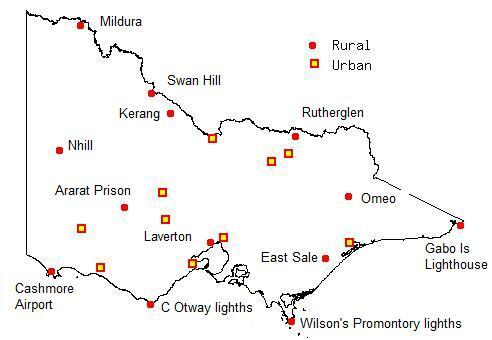 Mt Gambier and Strathalbyn are included, although both were designated as Urban stations by Torok and Nicholls (1996) and therefore not supposed to be used. 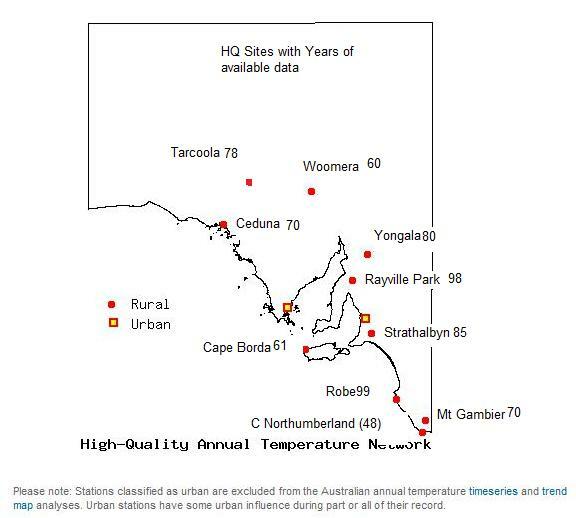 The sites are “High Quality” because they supposedly have observations over a long term: Torok and Nicholls preferred 80 years but for many sites this could not be achieved so nearby sites were combined. 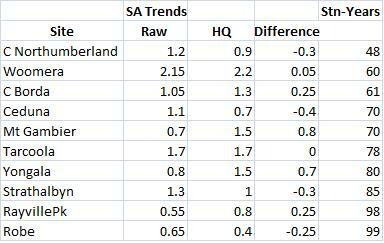 Fair enough, but the South Australian data is particularly scanty. 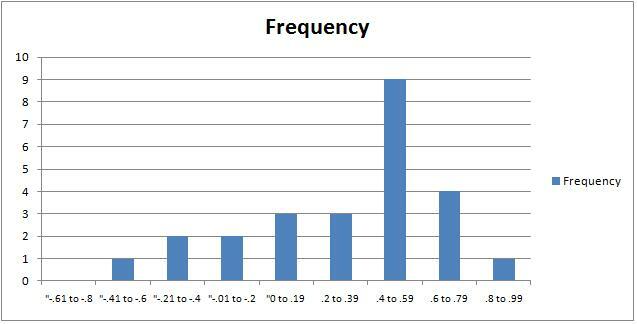 Here is the number of years that raw data is available for each site, from least to most. Total station-years: 749 = 74.9%. The official record for South Australia is based on less than 75% of the optimum data. 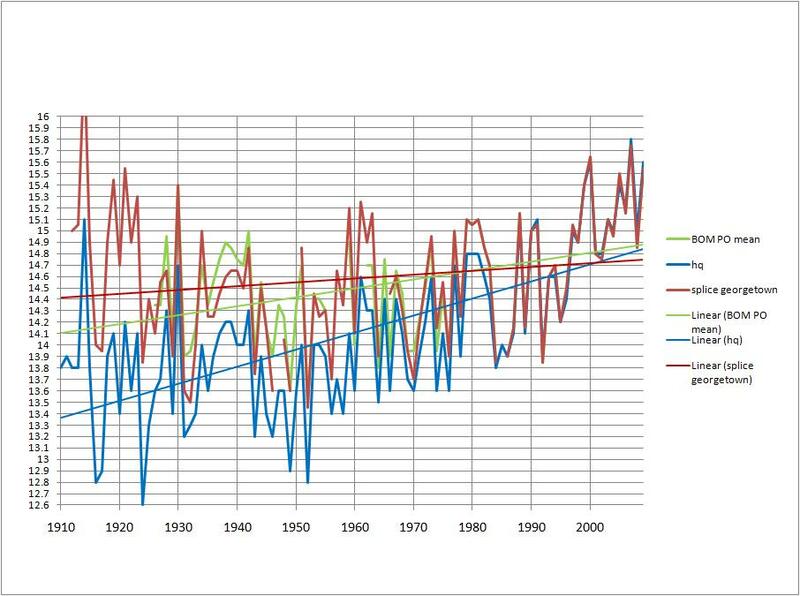 A quarter of the record is missing, and only 4 stations can truly be called long term with at least 80 years of data, and one of them is urban! 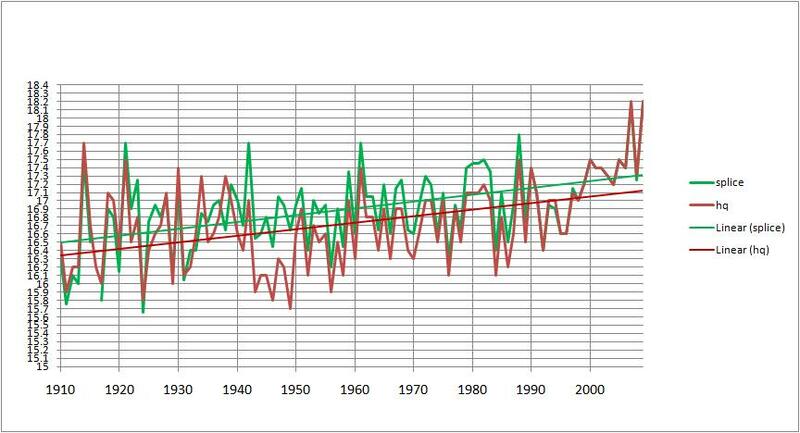 If the stations with less than 80 years of data are removed, the raw trend is reduced to 0.8 C per 100 years, and the adjusted trend to 0.93. 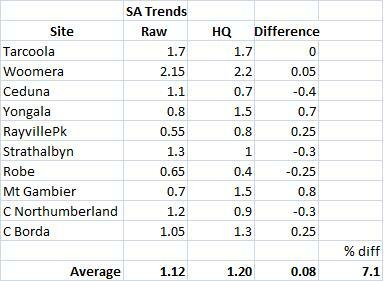 With the Urban location of Strathalbyn removed as well, the raw trend becomes 0.63 and the adjusted trend 0.9. That would never do. As well, the combination of stations at each location has led to some questionable splices. 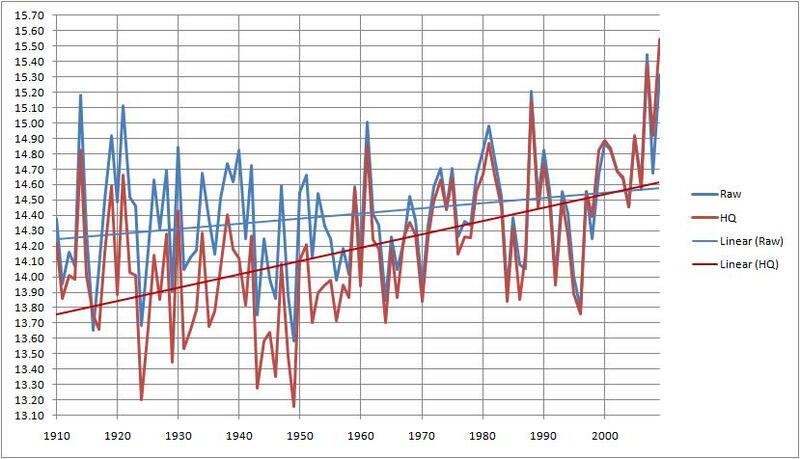 Here are graphs of the raw and adjusted data from each location. Tarcoola- in the desert, 200km inland from the Bight, about 80km west of the Stuart Highway. Woomera- in the late 1940s the British wanted a testing range for their missile program, and the Woomera Rocket Range was started. 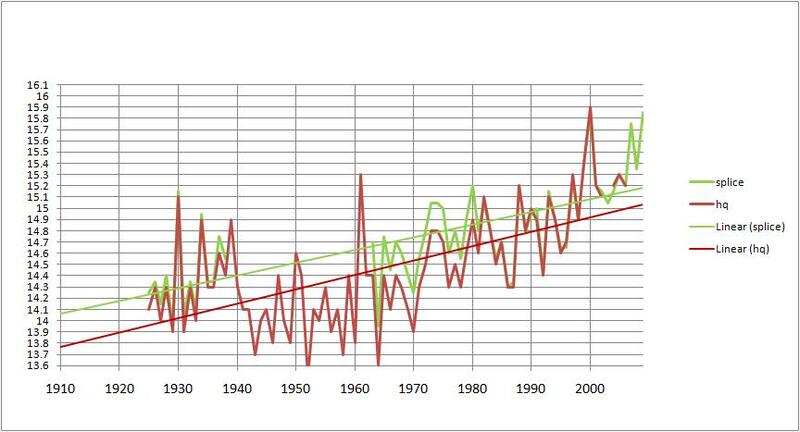 Records start from 1950, and we can be fairly certain the scientists would have wanted very accurate data. BOM took over in the early 1970s. Only 60 years. 30 years missing. 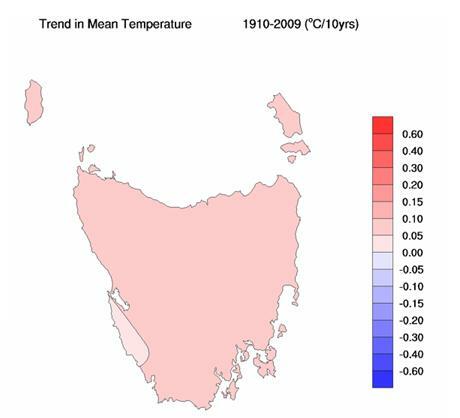 Now the adjustments (I’ve included Streaky Bay to get data from earlier years): 1.1 cooled to 0.7. A splice of Ceduna with Streaky Bay less 0.7C is pretty close, and gives a trend of 0.9. Where do they get the previous 15 years? 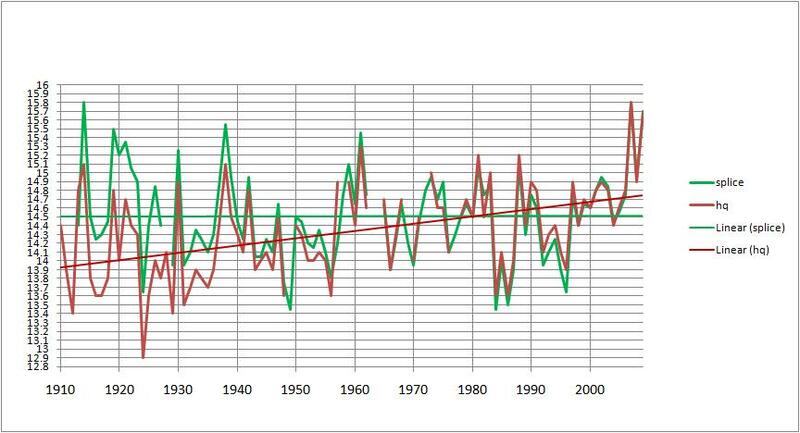 So why the warming from from 0.8 to 1.5/100 years? Georgetown 49km away shows distinct cooling. And a purely theoretical splice of Yongala and Georgetown less 1.5 gives a trend of 0.35! Rayville Park- (Snowtown site until 2000)- about 100km north of Adelaide. +0.45? 0.55C, which is exactly the same as nearby Clare. The two sites spliced gives a trend of 1.3 which BOM reduces to 1. Mt Gambier- in the far south east, near the Victorian border, in rich farm country, and also Urban. At least it has been cooled from 1.2 to 0.9. But where did they get the rest of the data? Robe? What about Hamilton in Victoria? Why not stick with Hamilton? Cape Borda- on the western end of Kangaroo Island. Western Australia, the largest state in Australia ( 33 % of Australia’s land area) is the source of much of Australia’s mineral wealth. It is physically isolated from the eastern states, and during the politicking for the Federation of the colonies in the 1890s, the vote for Federation was only carried after the Trans Australian Railway was promised. 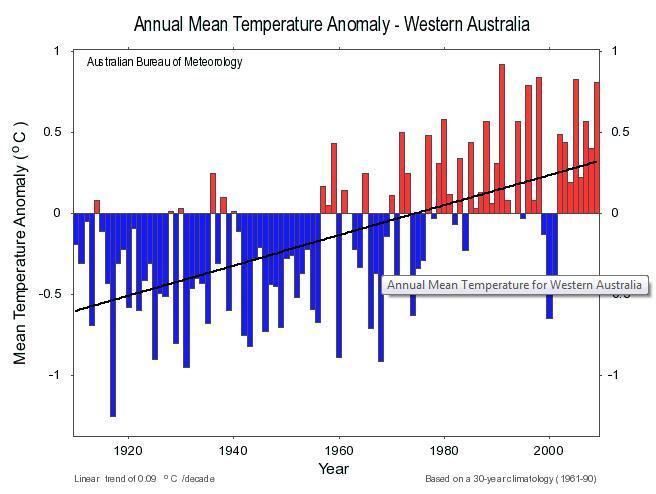 After seeing what the Bureau of Meteorology has done with their temperature figures, Sandgropers may well want to secede. BOM develops its climate Trend Maps and Time Series graphs form 100 sites nationwide, comprising the High Quality Australian Site Network. 25 of these are in Western Australia. 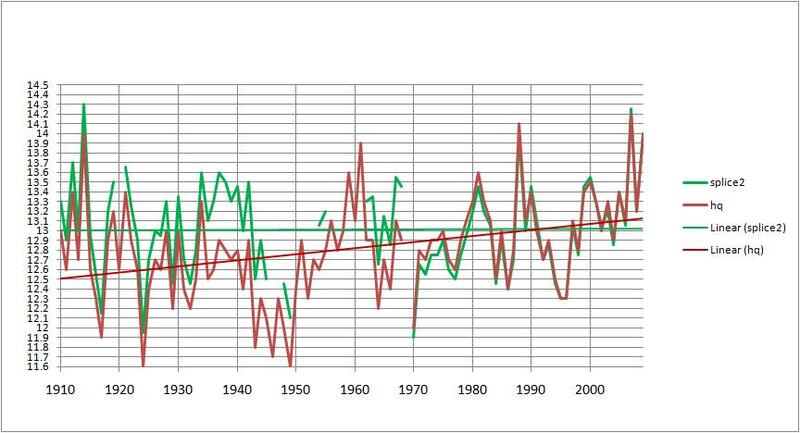 As you can see, Western Australia has a warming trend of 0.09 degrees C per decade, or 0.9 degrees per 100 years. 44% warming bias! 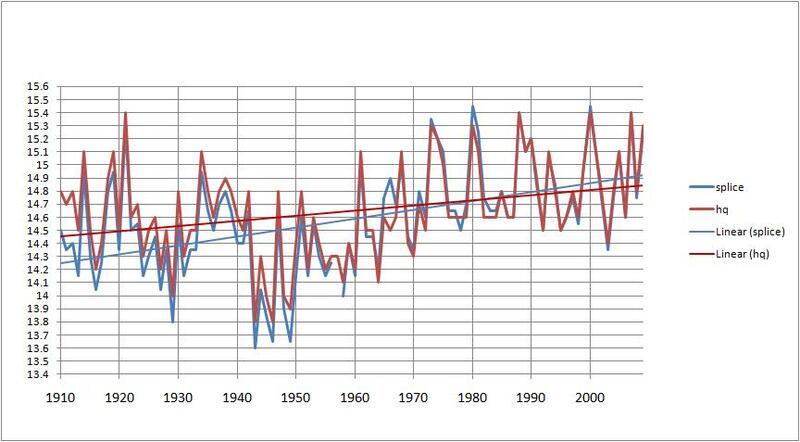 Even rounding conservatively, the warming bias is 28.57%. Notice that there is a strong positive bias. The HQ data has been subjectively and manually adjusted, and makes no allowance for Urban Heat Island effect, apart from not including (some) Urban sites. 4 sites (Giles, Newman, Meekatharra, Jarrahwood) have many years of data missing. High Quality sites are supposed to have a long record of at least 80 years, with few gaps. 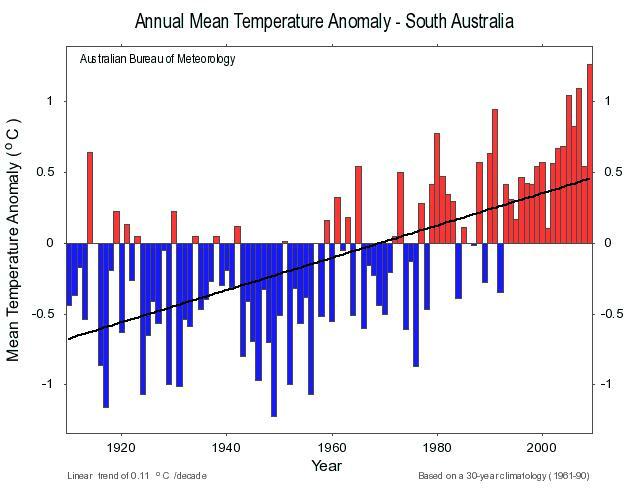 The official Trend Map and Time Series Graph for Western Australia cannot be relied on as an accurate record of the Western Australian climate over the past 100 years. 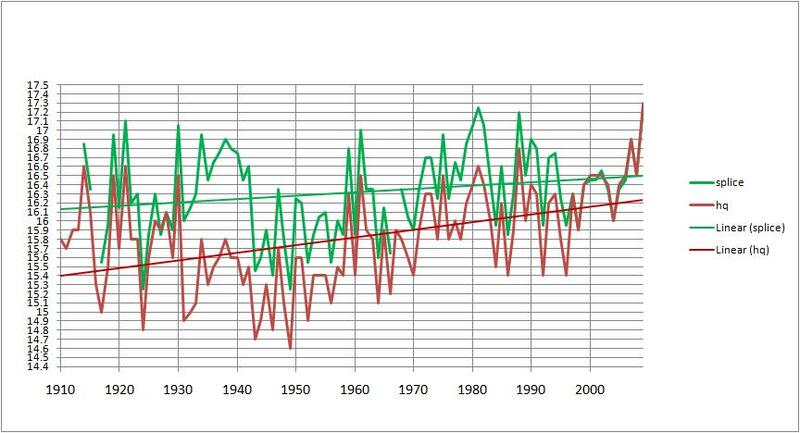 This is because they are derived from the High Quality Annual Temperature Network. This is plagued by subjective, manual adjustments that in many cases cannot be justified, sites with years of missing data, sites that should not have been used because of Urban contamination, and a large warming bias. If this is High Quality, I’d hate to see Low Quality. What does it say about the rest of the Australian temperature observations? No doubt the remaining 45 stations will show a large cooling bias! Missing data for the first 47 years, and no sites around for hundreds of km! HQ adjustment seems to follow the airport and warms the older data a bit. 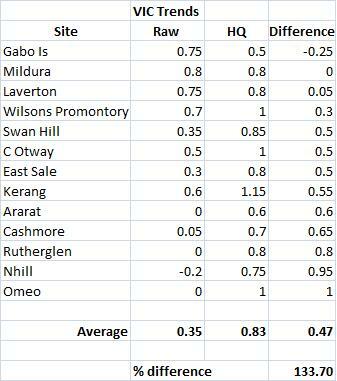 I spliced the two datasets by adding 0.7C to Old Halls Creek figures. 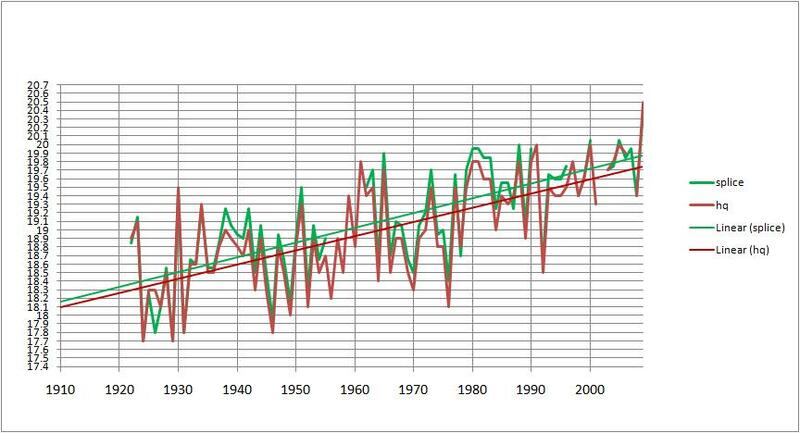 This graph shows BOM did the same but made the first 15 years colder. Derby again has two sites. Note the missing data. 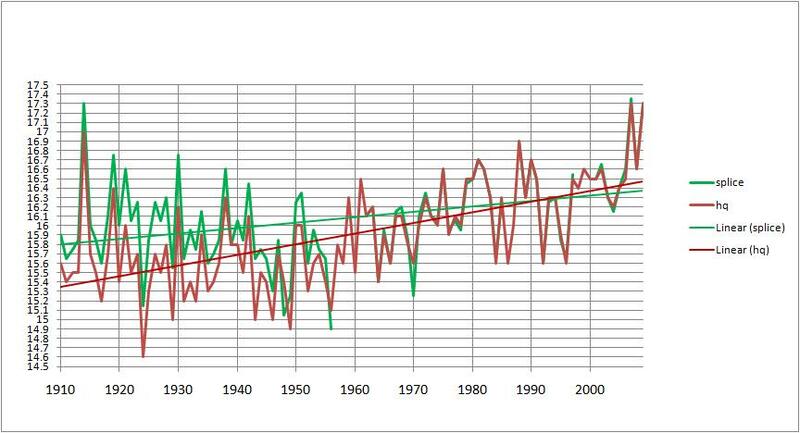 The splice would show 0.6 C warming but the adjustment corrects this. An “interesting” splice with a small adjustment. Note the small cooling adjustment, but the airport shows the possible UHI effect. Marble Bar, the hottest town in Australia. For 161 consecutive days to 20 April 1924 the (maximum) temperature in the town never dropped below 100°F (37.8°C). 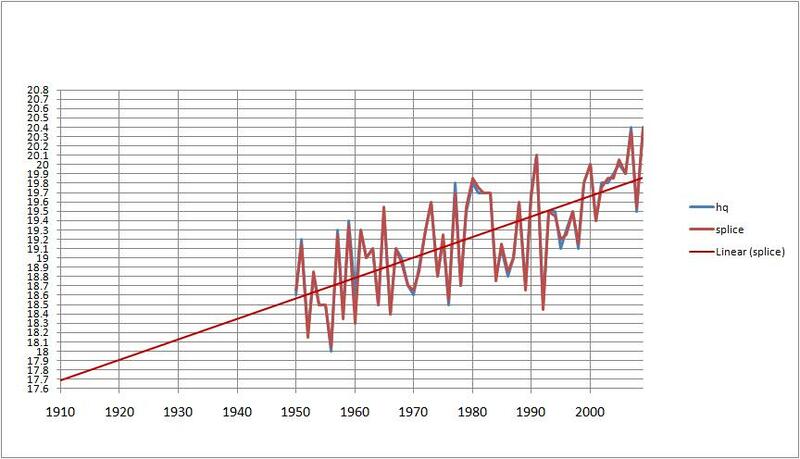 The trend of 0.2C has been adjusted to… 0.9! Where does that leave the record? 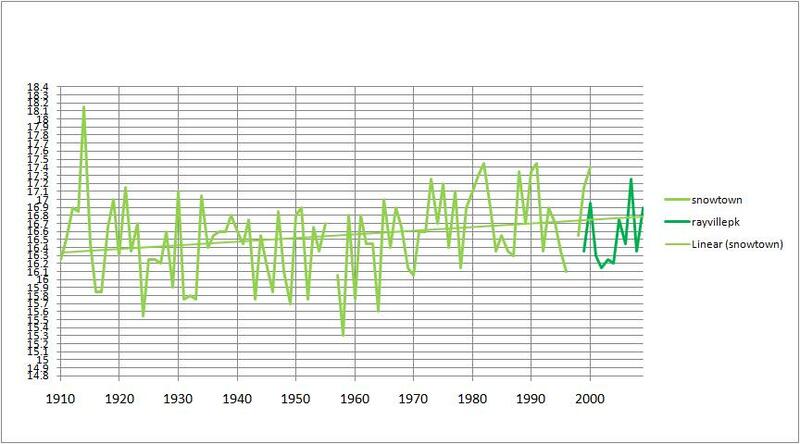 The dodgiest of the lot- BOM supposedly only use sites with a long continuous record (>80 years). Newman is a mining town whose record starts in 1966. How do you get a meaningful trend from that? Easy, splice it with Mundiwindi, 71 km away! Then you get 1 degree of warming! Gives a trend of 0.3C changed to 1.0C. Adjusted to 1 degree of warming! 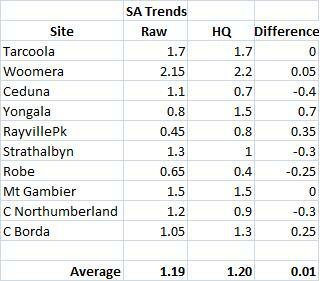 But nearby Cunderdin and Corrigin show no such steep trend- perhaps 0.4. From 0.1 to 0.8! But nearby Northam is about 0.2. 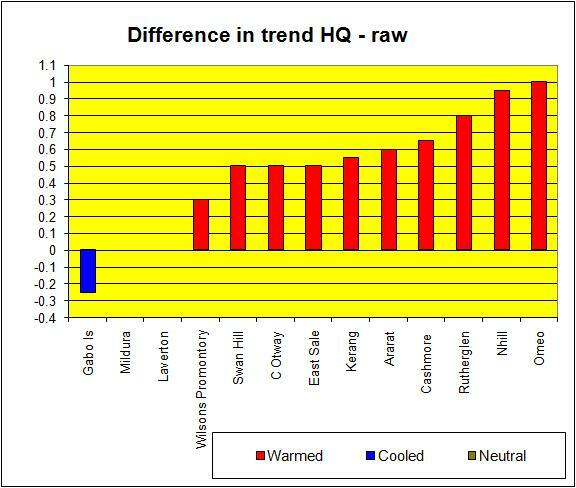 Given an extra 0.4C of warming, though Narrogin is almost identical to Wandering. Jarrahwood itself has only about 30 years of data, and has huge gaps. How to make a trend from that? Use Donnybrook instead, and Busselton Shire which has large gaps. Why not call it Donnybrook? Because Donnybrook has a rating of 4 (Poor) due to poor Stevenson screen siting during some of the record. That’s how they get around that little problem. 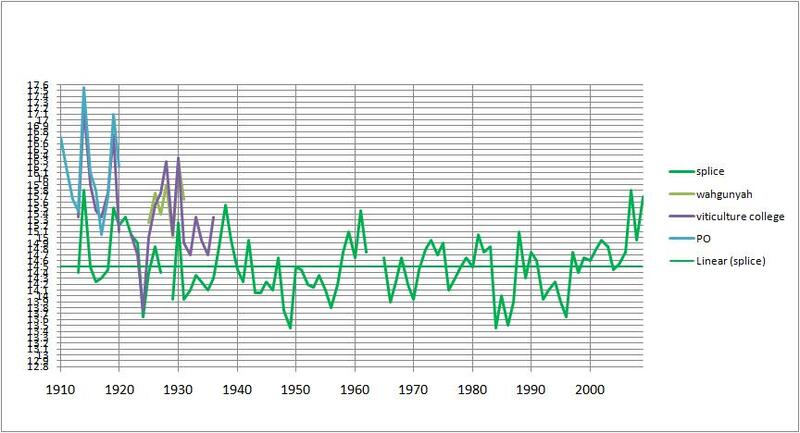 Fortunately, the trend has been reduced by 0.4C. Albany is also Urban. 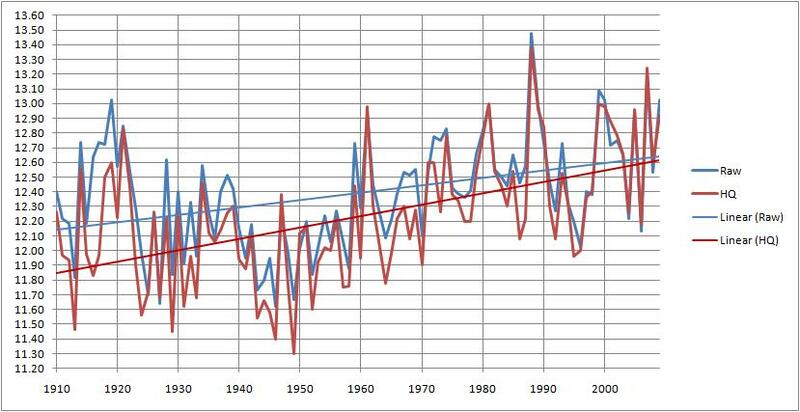 It also has two records differing by 0.7C on average. Notice that Eclipse Island agrees with the early PO data. 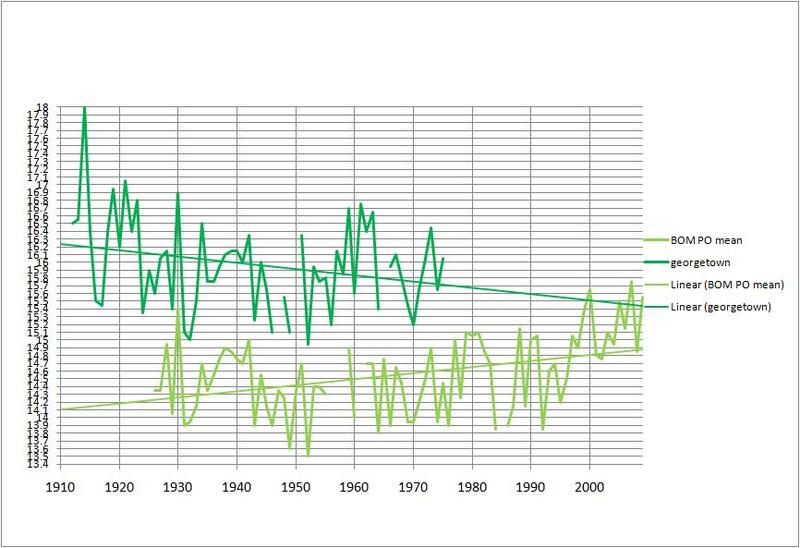 Adjusted with an extra 0.3C warming. Esperence has 3 records. 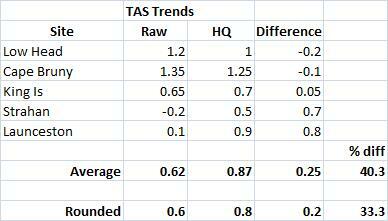 Note how the two main records have a similar trend, and the second is about 0.3 above the airport. I reduced the second town record by 0.3 to match the airport. Notice where the BOM adjustment matches this splice and where it is different- they do a very rough splice then warm the first few years. 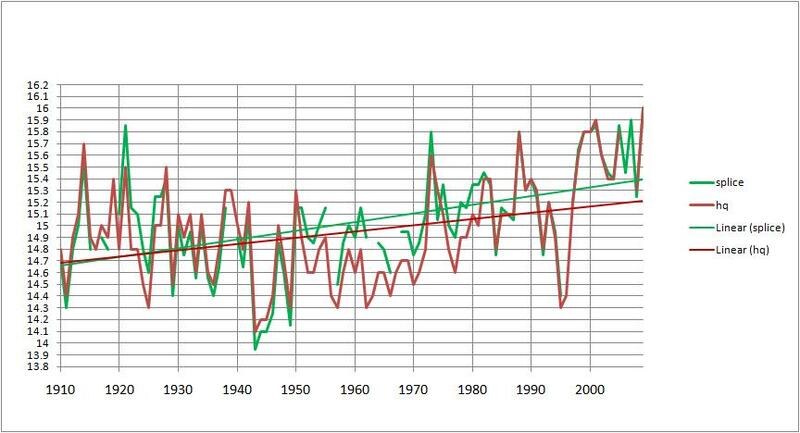 The result is a 0.1C increase in warming, and a dodgy record. You are currently browsing the kenskingdom blog archives for June, 2010.